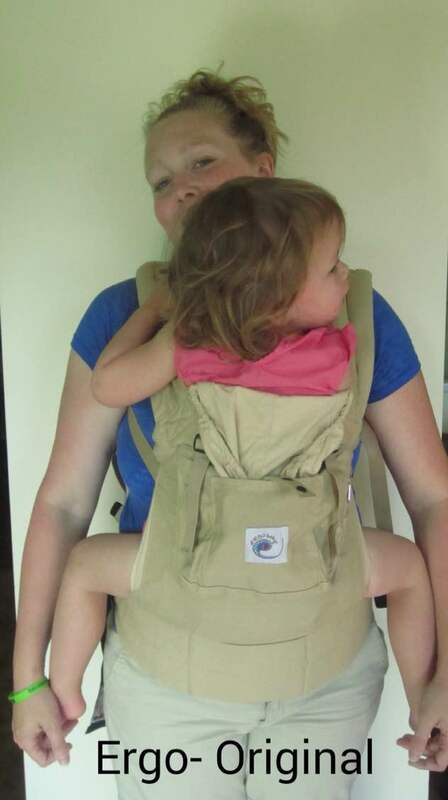 Babywearing is hot in general, but how do you combat extreme heat when you have literally tied a little space heater to your chest? In Chicago we see highs in the 90s to low 100s, and humidity levels that make the rainforest seem like a desert. Combine that with a sweaty, needy, hotbox and… Wait! Where are you going? Overheating can be very dangerous for babies, especially for infants under 6 months, who lack the ability to regulate their own temperatures. Use common sense and go back inside when baby seems to be overheating. Take breaks from the sun when you can and make sure both baby and you stay well hydrated. Don’t feed a baby, less than 6 months old, water without your doctor’s permission, and don’t add excess water to their formula, or any water to expressed breastmilk. Use sunscreen according to the directions, and according to your pediatrician’s recommendations, to prevent burns. 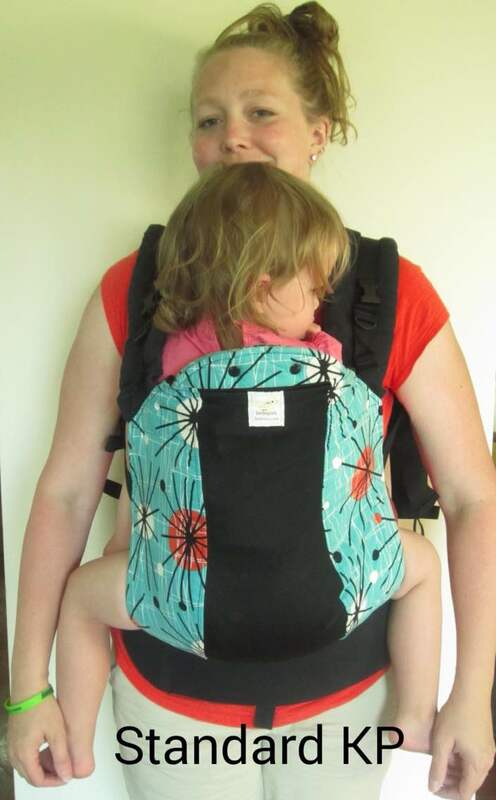 Take your baby out of the carrier if it seems to be causing them to overheat. 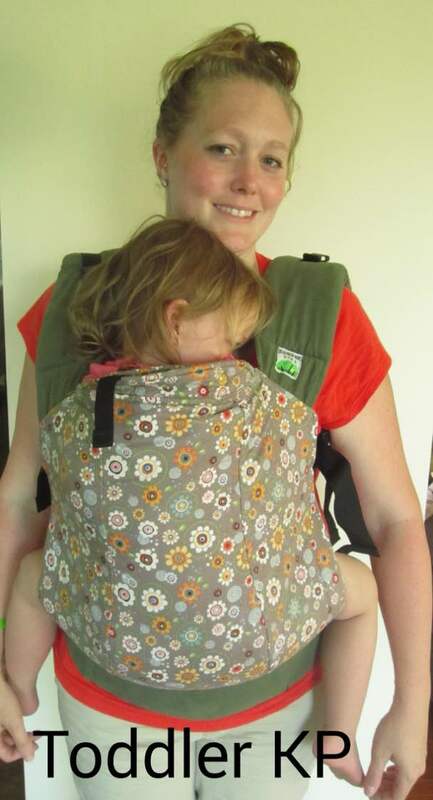 Asian inspired baby carriers, such as meh dais and onbuhimos, tend to remain nicely cool in the summer. The exception being where they are made out of a heavy fabric or cover most of the body (as in a traditional wide blanket podaegi). Woven wraps – depending on the weave and fiber content, woven wraps can be a cool choice but also can be extremely suffocating. If you have a warmer wrap, try one layer carries and use shorter wraps so there is less excess fabric. If you have only long wraps, still aim for one layer carries that eat up some of the length, like a Front Wrap Cross Carry (FWCC) with the passes bunched. Stretchy wraps – Most stretchy wraps are very warm and don’t breathe well. However, there are some brands that are thinner and more airy, such as the bamboo blend ones I’ve seen out there. So check with us on your stretchy if you have questions. You have to have all three layers of fabric over baby with any stretchy wrap so choosing the right stretchy for summer wearing is important. 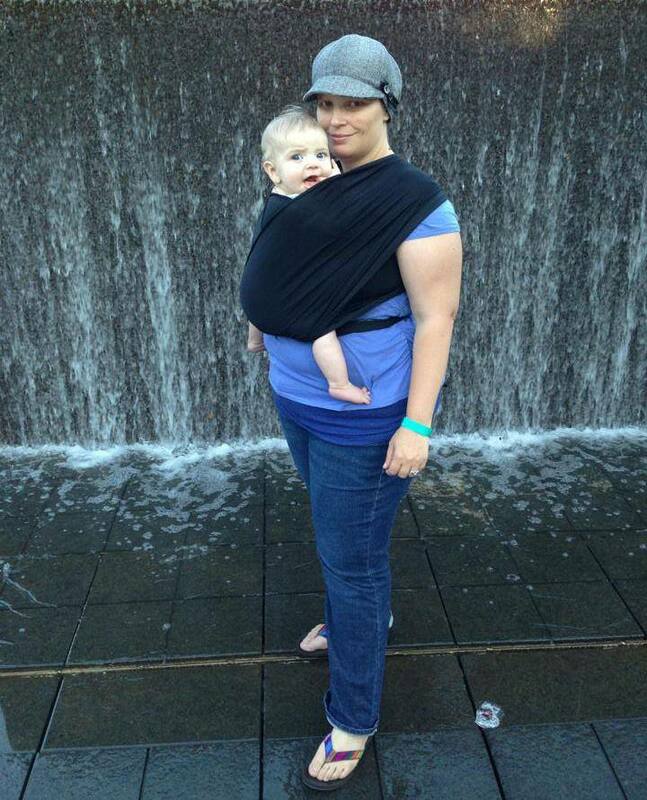 Ring slings are your summer friend! 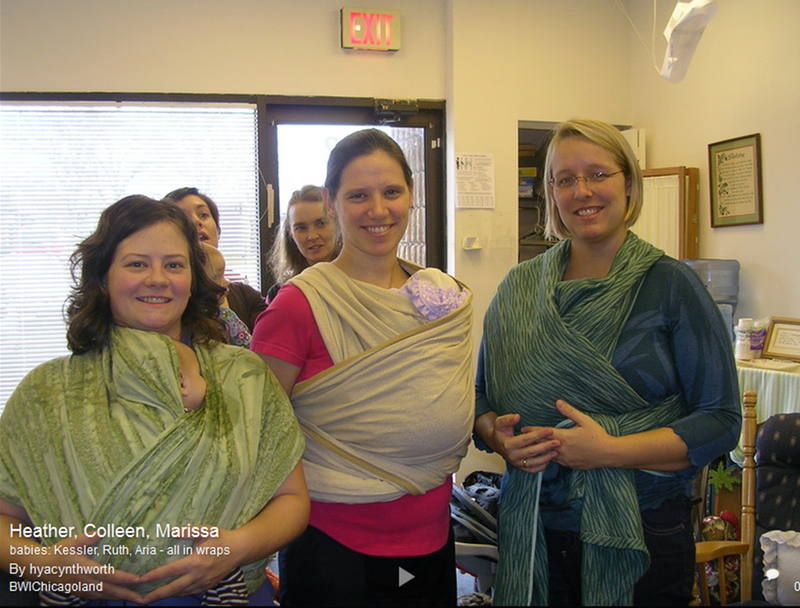 By their nature, ring slings have only one layer of fabric, and it is often a very breathable one, like linen or cotton. Planning on hitting the pool or beach this summer? There are some great carriers specifically made for water usage you can find! Although you can often use regular carriers in the water, they will become heavy and the colors may fade or bleed in water. Additionally, chlorine can damage the sewing on a carrier making it structurally unsafe. The most common types of pool carriers are mesh or solarweave ring slings and wraps but there are other types as well. Dress for the weather. Remember that your carrier is another layer. It’s fine to dress baby in just a onesie and diaper, or just a diaper, when you’ll have another layer over them (watch for sun exposure though). Dress yourself for the weather. Wear moisture wicking clothing and make sure you and baby aren’t skin to skin. When your skin meets you both get hotter. Wear a thin shirt with a higher neck to keep you both from sweating. Dribble water on their heads, arms, legs, and any other part sticking out. Some people I know carry around a spray bottle to add a little mist, but letting a few drops drip from your water bottle works as well. Cooling towels! 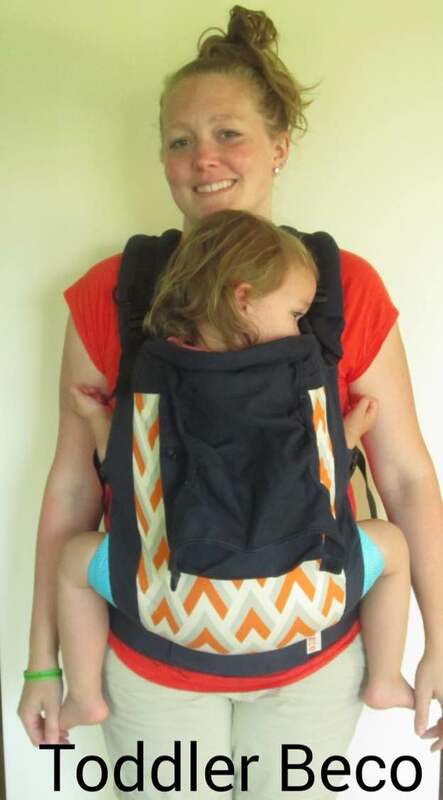 These became popular a couple years ago and really hit the babywearing community last summer. You can find them in big box stores and online. Some name brands are Frogg Toggs and EnduraCool but you can find generic brands at the dollar store even! They are similar to a chamois – you get them wet, and the evaporation technology keeps them cool for hours (or even days!!). Lay them over baby’s legs, dab baby’s cheeks, and the back of baby’s neck. We just got back from the desert, and this is what helped the best to keep baby from overheating. Do not put the cooling towel between you and baby though. They work by evaporation and if the towel is between you two then it can’t evaporate so it will not work. Since sunscreen isn’t recommended in large amounts for infants under 6 months of age, try to keep younger babies in the shade as much as possible. This is easier said than done, especially if you have an older child to chase after. There are a few companies that make carrier covers that are 100% UVA/UVB. Monkey Pocket and Rain or Shine Kids makes them, and you can sometimes find old Peekaru ones that were discontinued. 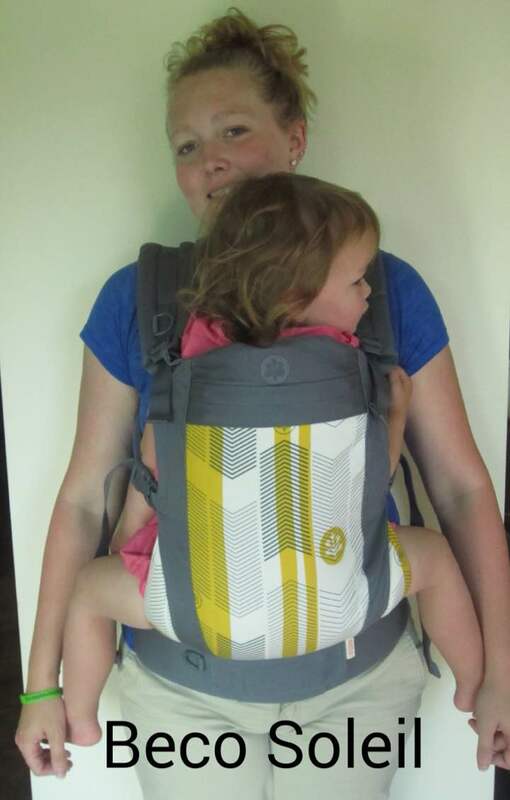 Bjorn makes a UVA/UVB cover that fits over their carriers too. Outfits that have sun protection are also recommended; rash guards and UV blocking clothing are fairly easy to find these days but we can help you search if need be! A light blanket as stated above can help too. *A note about sunscreen: Sunscreen is going to be a necessity on any day for a baby older than 6m (and even under 6m according to the AAP), but it can stain your carriers. Follow the general guidelines for using sunscreen by applying 15 minutes before going out. That should be enough time to protect your carrier. Shameless plug: Don’t forget about your local lending library! 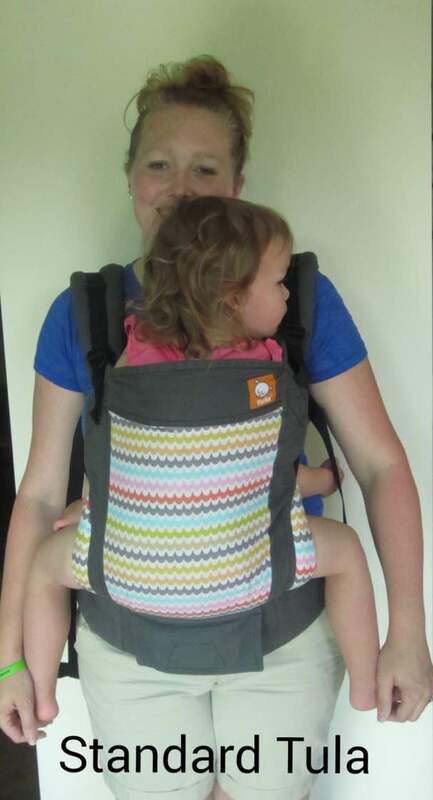 If you need to borrow a carrier for a vacation or want to use something lighter in the summer without actually buying a new carrier – check one out from the group! You can borrow one carrier a month for $30/year. Happy wearing, and stay cool! 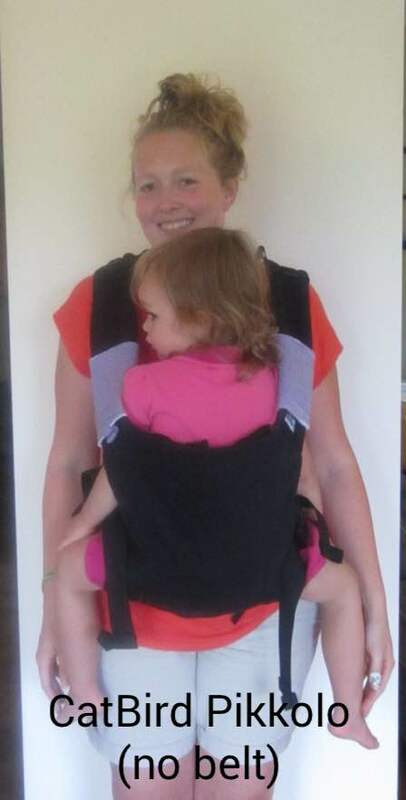 One of my favorite aspects of babywearing is the connection I feel to my ancestors. I know that my ancient mothers must have worn their babies as it’s such a logical way to deal with that fact that there is much to do and babies like to be held. I just have to load the dishwasher, sweep the floor, spend 20 minutes cooking dinner, throw a load of laundry in the washer and vacuum. I can only imagine what our foremothers had to do without the modern conveniences. We all know that the Asians wear their babies. 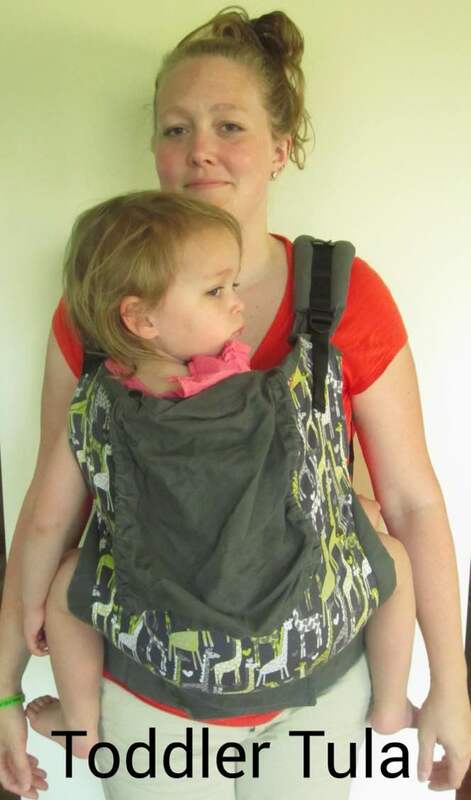 We know that Central and South Americans wear their babies. We know that Africans wear their babies. THOSE people wear their babies. 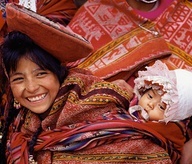 But, believe it or not, people from the Northern Hemisphere have a tradition of wearing their babies. 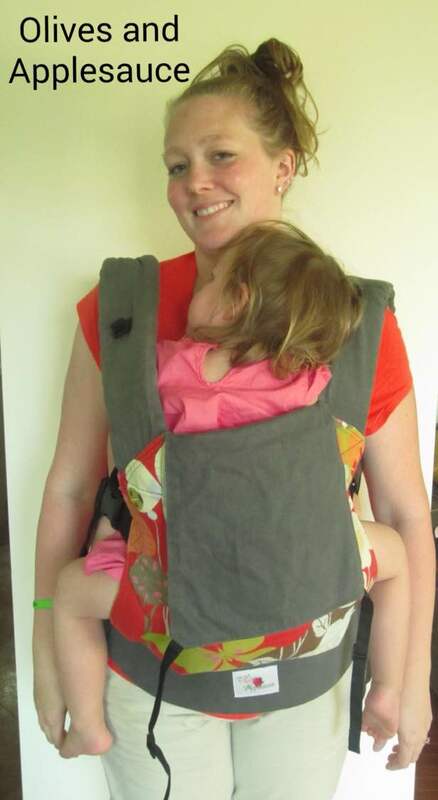 On a favorite blog about cleaning up clutter, I found a link to Celtic Babywearing. A woman from England captures old images of Europeans wearing their babies. And some are very interesting. And interesting enough, I found a link to Welsh shawls, which are wool and used to wear babies. Here’s a link to a Welsh shop: The Great English Outdoors. It is very tempting to try one because I bet it also doubles as a cozy blanket for the couch. 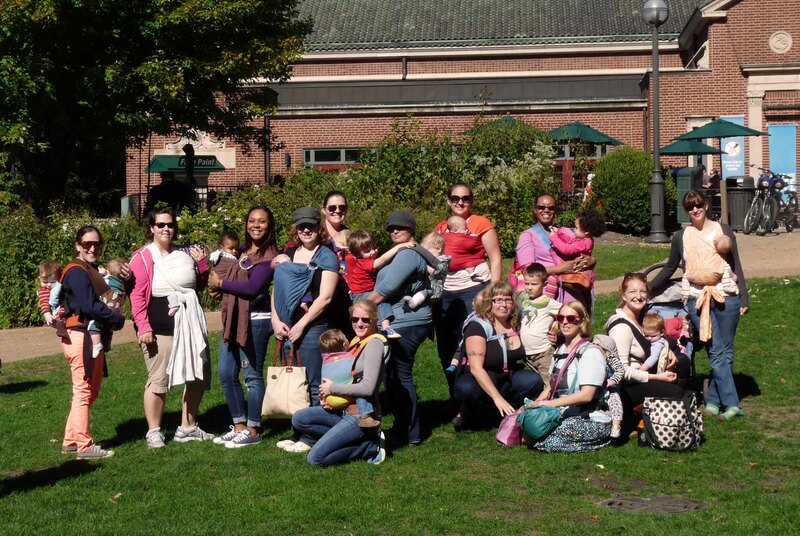 I also thought it was neat that she had a link to her local babywearing group in England: White Rose Babywearers. Enjoy exploring her blog. 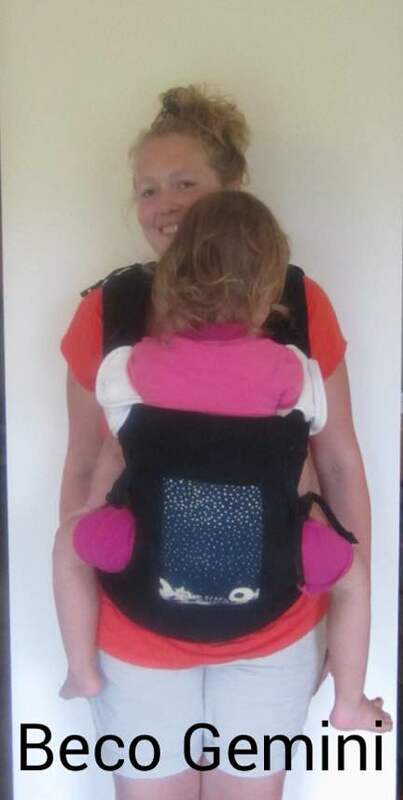 On her blog I also found a link to a blog post about the cultural history of babywearing. My mother, grandmothers and apparently great-grandmothers did not wear their babies. 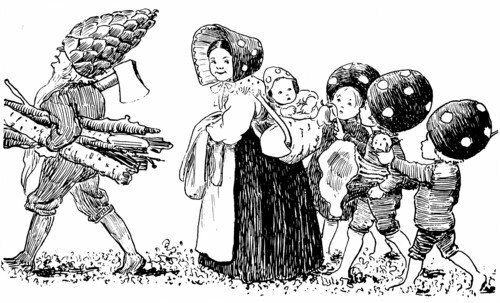 But it’s quite possible that going back a few more generations and there were probably babywearing mamas. What about your family? What’d you think of the Celtic Baby blog?